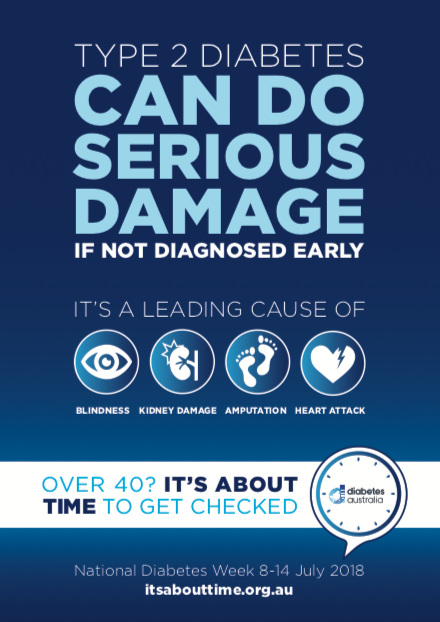 Its About Time…To Raise Awareness of Diabetes! This week, I’ve been lending my voice to Diabetes Australia’s National Diabetes Week campaign that is calling on earlier detection of both types of diabetes. It is a campaign that I am really, really proud to support. As a person living with diabetes, previous campaigns have been difficult to stomach. They’ve often focussed purely on the serious side to diabetes. While these campaigns understandably carry a political agenda for things like greater funding and improved outcomes for people with diabetes, they often lack one crucial element. Audience participation from people with diabetes. People with diabetes want nothing more than to raise awareness of diabetes during diabetes week. 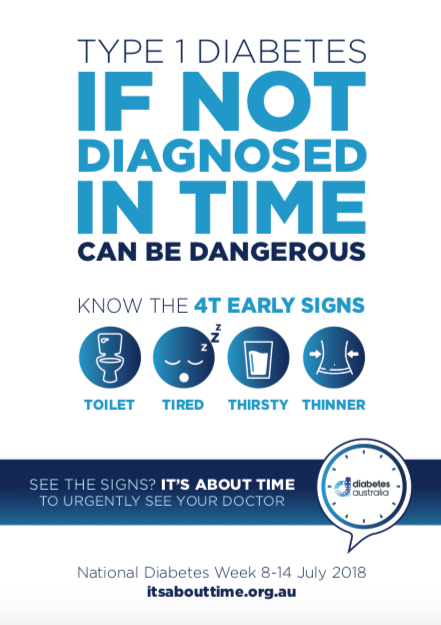 What I love so much about this year’s ‘Its About Time’ campaign (and last year’s, for that matter), is that it hits the right balance of seriousness while also encouraging those of us living with diabetes to raise our voices and promote greater awareness of diabetes. The type 2 campaign launched on Sunday, calling on everyone at risk to get their diabetes screenings, regular bloodwork and checkups with GPs. This is especially true for those over the age of 40, those who may have a family history of diabetes, those with a waist measurement of over 40 inches and many others. If you know someone who might be at risk, encourage them to get their diabetes screening! There’s also a free calculator that will help you to assess your diabetes risk here. People can live with type 2 diabetes for up to seven years before it is diagnosed. 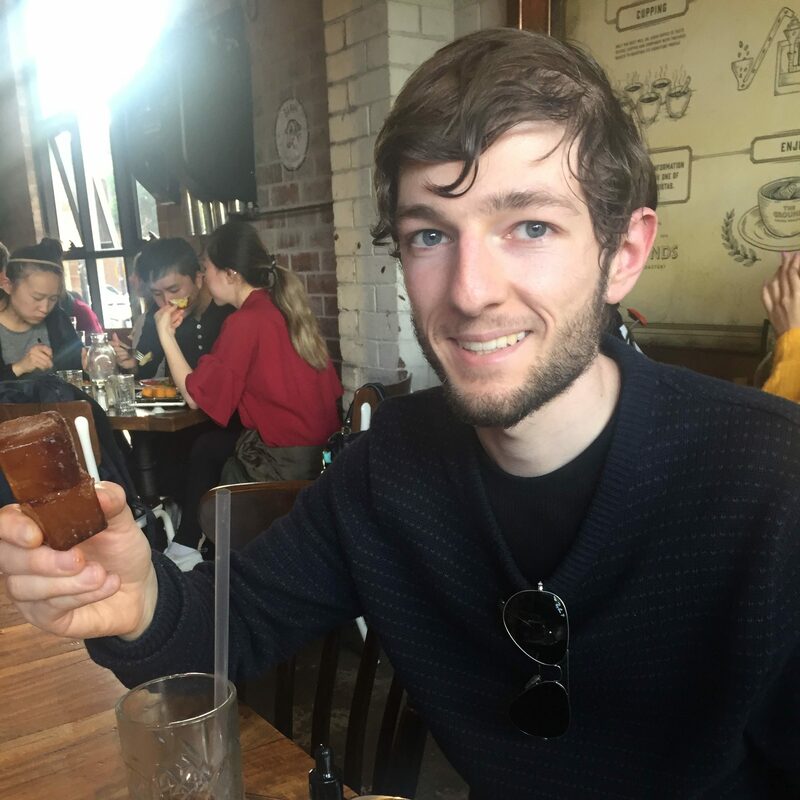 The onset of symptoms are relatively slow compared to type 1, and many people still feel normal until the condition has progressed further and complications may have developed. Most of these complications would be preventable with earlier detection. The type 1 campaign launched today, calling on everyone to know the four ‘Ts’ of type 1 diabetes – Tired, Toilet, Thirsty and Thinner. 1 in 5 people are still presenting to hospital in a life threatening state of Diabetic Ketoacidosis (DKA) before being diagnosed with type 1. DKA and hospital admissions could be prevented with earlier detection of the four Ts from both our peers and our healthcare professionals. One common argument that I see in the diabetes community, and one that I’ve certainly been guilty of in the past, is that type 2 diabetes takes focus away from type 1. I see this campaign as something that brings the whole diabetes community together. I think we can all agree that no matter the type of diabetes we have, we would all benefit from earlier detection. However we were diagnosed, I think many of us would still be able to find something small that could have been done better through a greater awareness of those signs and symptoms. I truly believe that Diabetes Australia are doing a fantastic job at championing people with diabetes. Perhaps I am slightly biased as I have been involved with them in the past, but I truly believe that this is a brilliant campaign. Let’s shout diabetes awareness to the rooftops! Fellow people with diabetes, this is our week! I was standing in the bathroom, staring back at the reflection of my upper body in the mirror in disbelief. It had been a busy start to the year. I was still adjusting to my newfound freedom as uni student with a brand new driver’s license and my first “real” job. So, I guess it had been a while since I had taken the time to have a good, hard look at myself. Had I always looked like this? I could see bones, and the outline of my ribcage on my chest. And was it just me, or was I looking awfully thin? Or was I simply driving myself crazy? There was no way. Not a chance in hell. I’d been stuck around the 63kg mark for years. I always felt as though I was a little overweight growing up. I could remember jumping on the trampoline and doing sittups, dreaming that I might lose some of the flab I could see every time I sat down. I was convinced I had completely lost my mind, but there was only one way that I could be sure. I raced into the laundry, grabbed the bathroom scales, double checked that the red dial was set to zero and then jumped on them. For someone who had been stuck around the 63kg mark for much of high school, I now weighed just 47kg. And I was absolutely lost for words. I knew that I had been feeling rather tired and deviod of energy lately, and happily dismissed the thought of anything being seriously wrong. I knew that I would have to do something about the reflection of that pale, skinny person staring back at me in the mirror. Tomorrow, I would have to start eating healthier. Tomorrow, I would have to try to eat more. And tomorrow, I would have to try to get myself into some sort of “healthy” routine. Little did I know that I didn’t do anything to cause this. That my body was no longer producing insulin. That my body was unable to burn carbohydrates for fuel. And that my body was burning my stores of fat for energy as a consequence. In that moment, I was in denial. In that moment, I had absolutely no idea that there was anything seriously wrong with me. And little did I know that in a matter of weeks, I would be diagnsed with type 1 diabetes.